Are you in need of Volvo 245 parts? If so, you have come to the right place. 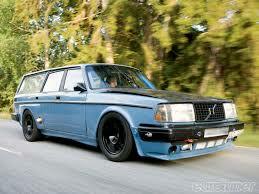 We offer a massive selection of parts for a variety of Volvo models, including the Volvo 245. The Volvo 245 was first introduced in 1974 as part of the 240 Series. Although this model was based on the previous 140 series, the new 240 series would include a variety of changes that would set it apart. 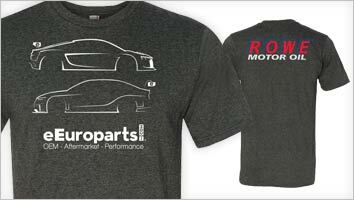 Among those changes was the introduction of a more developed chassis, larger bumpers and a new front. The new series of vehicles would also include a McPherson-type front-wheel suspension. The 245 was available to be specified with a V6 engine for a very limited period of time. The first 6-cylinder diesel to appear in a passenger vehicle appeared in the fall of 1978. This proved to be highly successful in markets in which diesel held more importance. The new line of Volvo vehicles also featured an array of important safety requirements. The standards set for the new Volvo vehicles were so stringent that they eventually became the preferred standards for vehicles in the United States. Where the 245 really excelled was performance. In 1981, the vehicle featured a turbocharged version, making it one of the fastest estates in the world. The 245 was given a makeover in 1981 as well as in 1986. A version of the vehicle known as the Polar eventually developed a cult following in the Italian market. If you need 245 parts, you can find them here at eEuroparts.com.